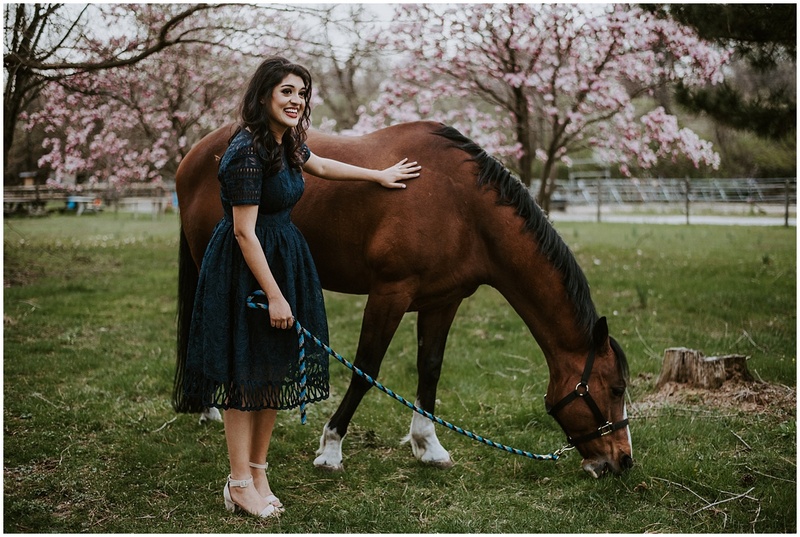 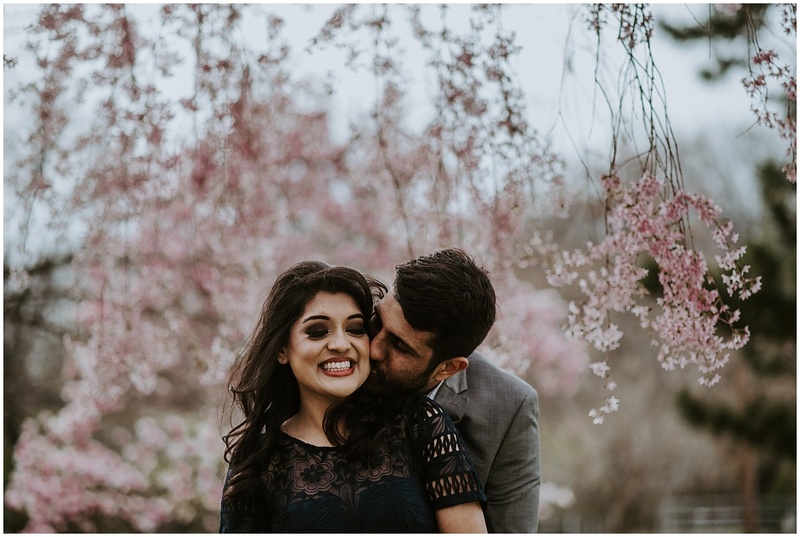 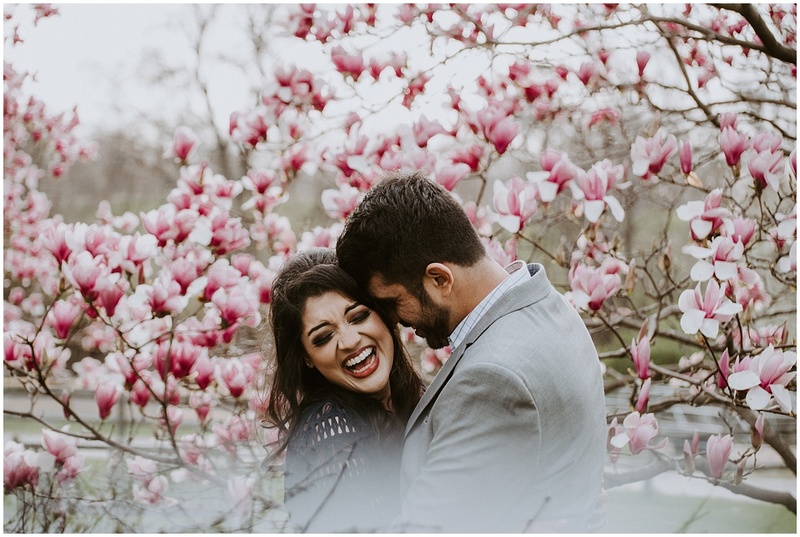 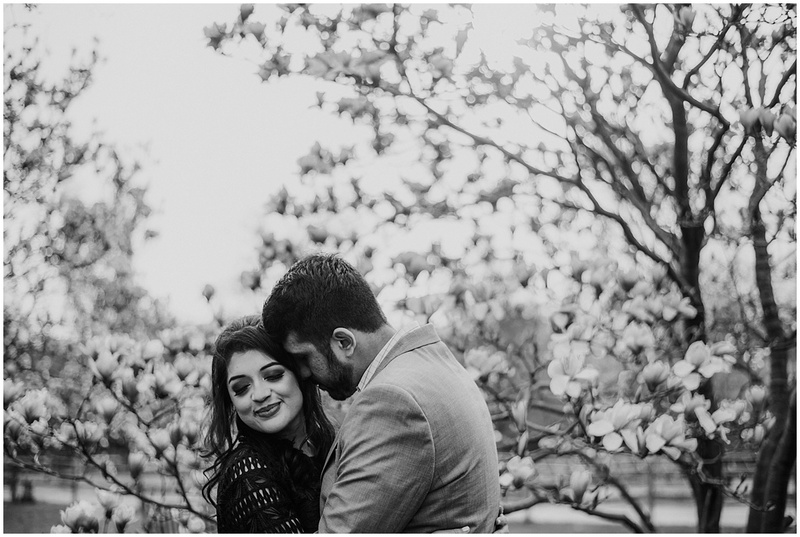 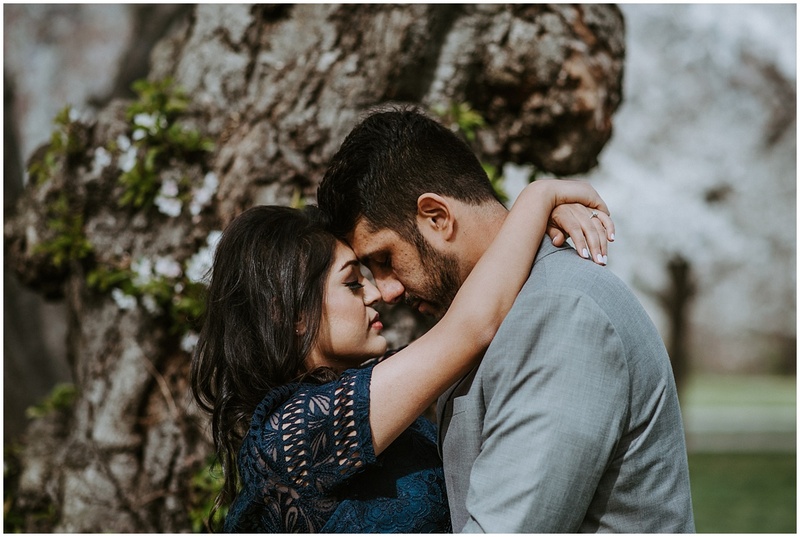 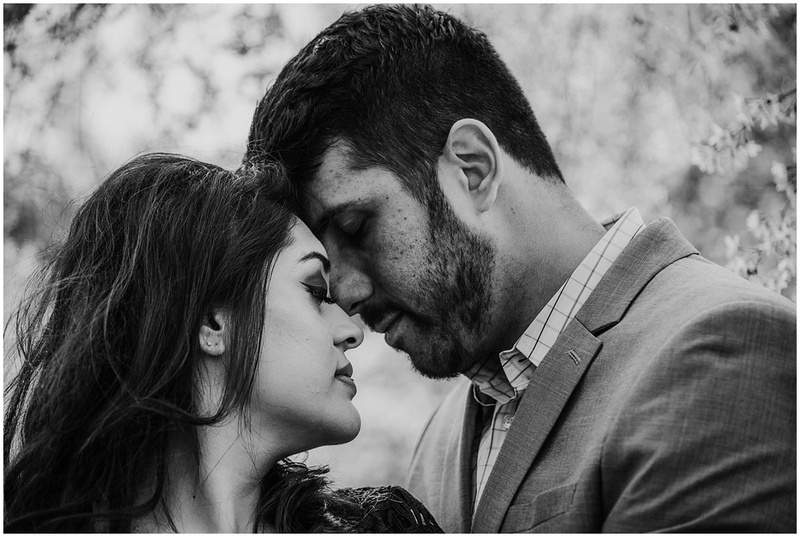 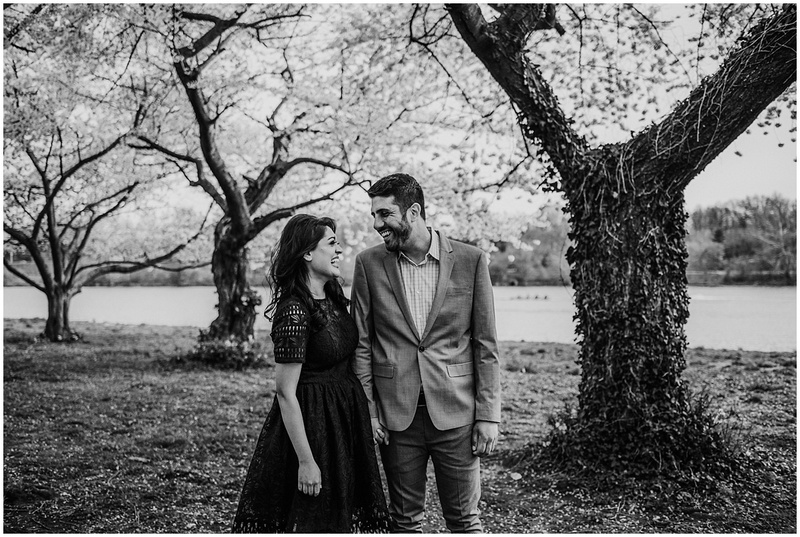 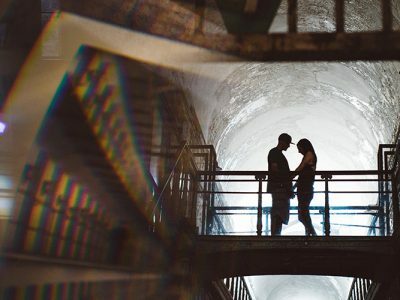 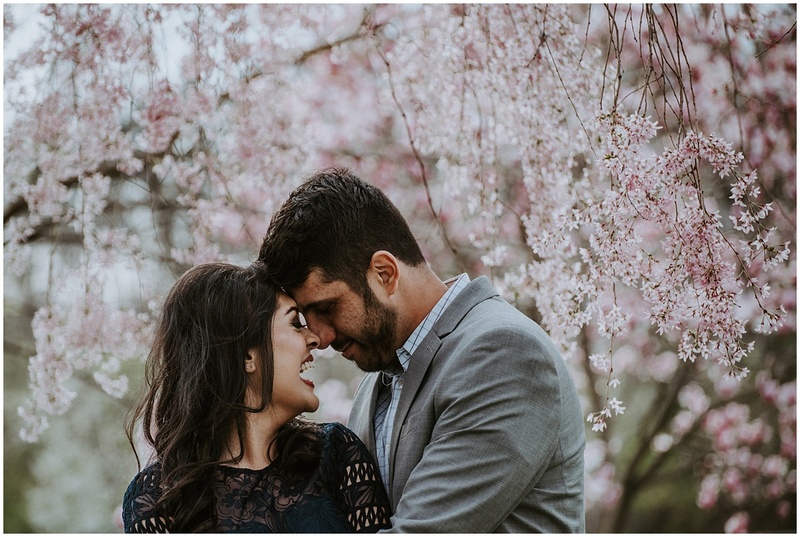 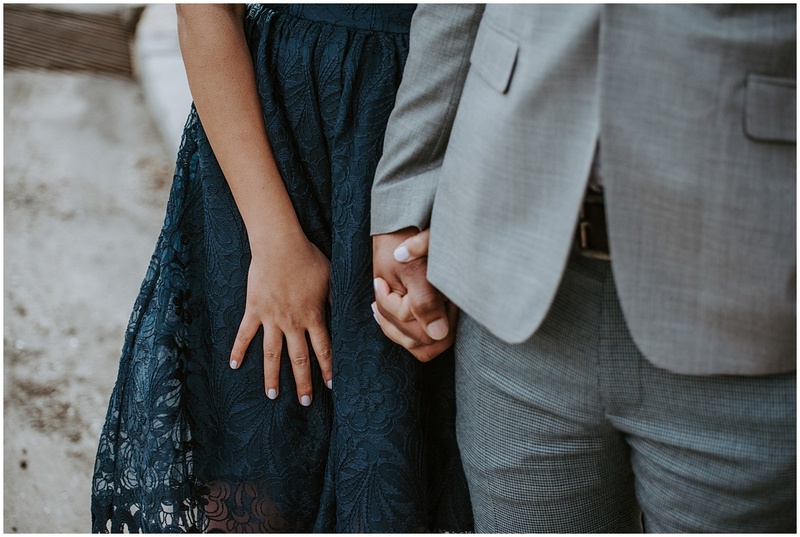 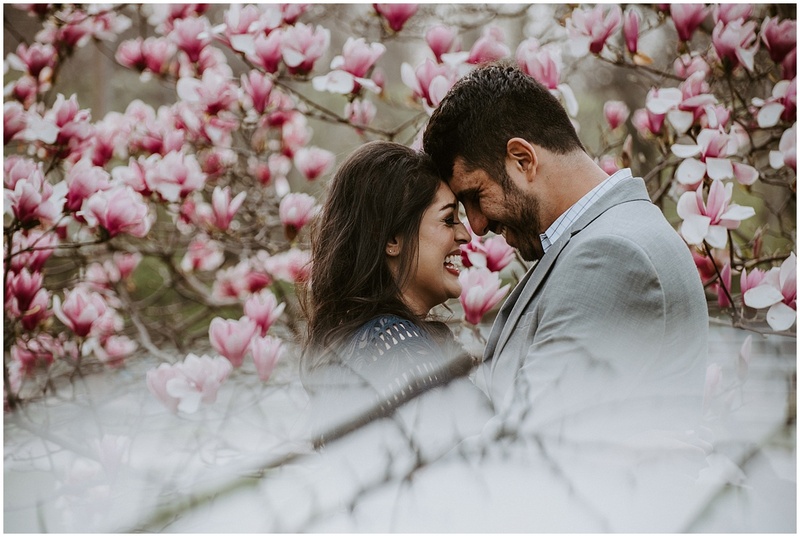 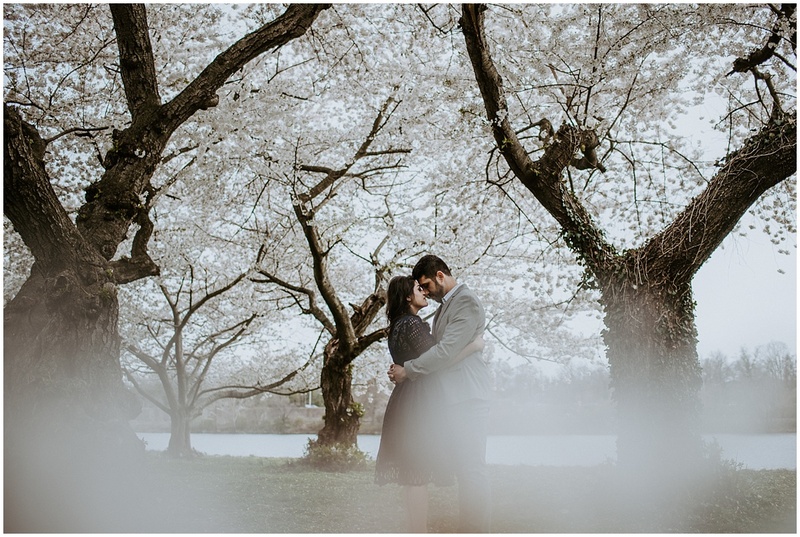 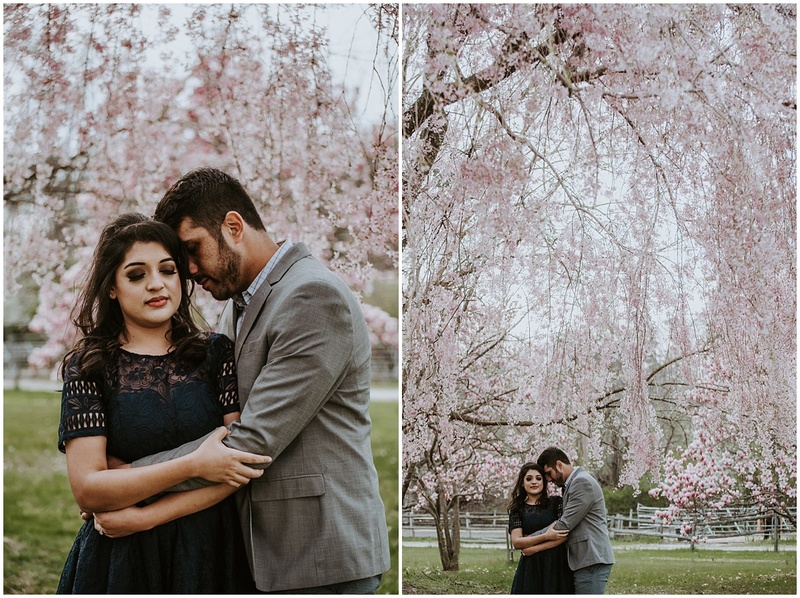 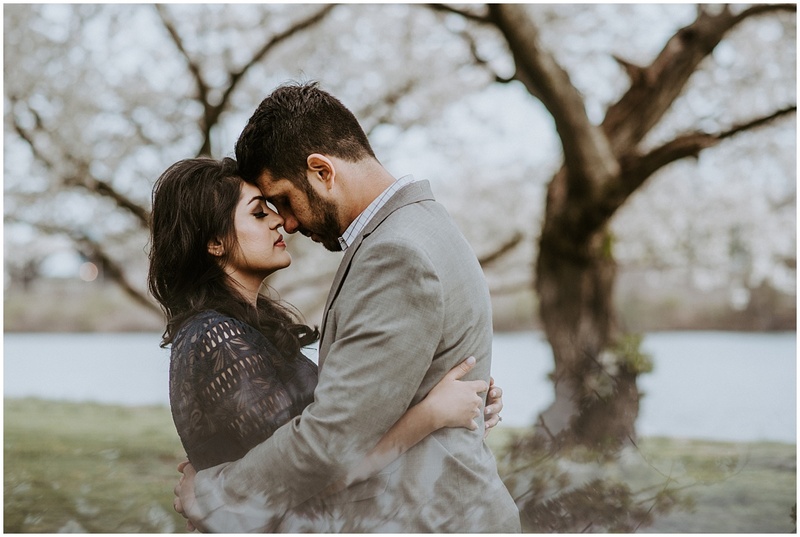 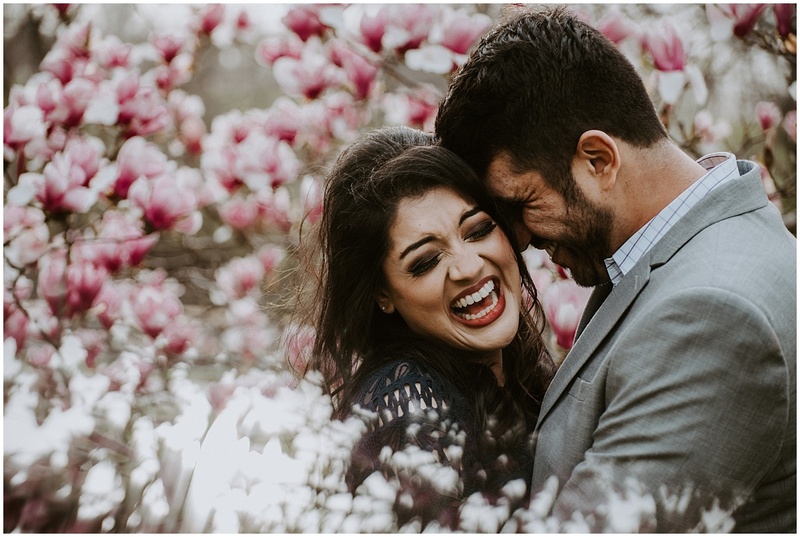 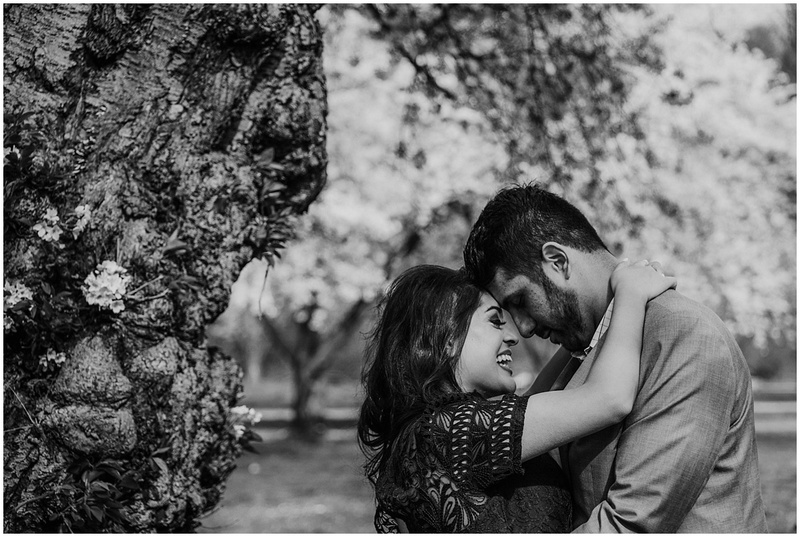 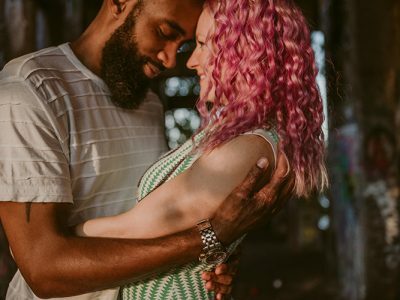 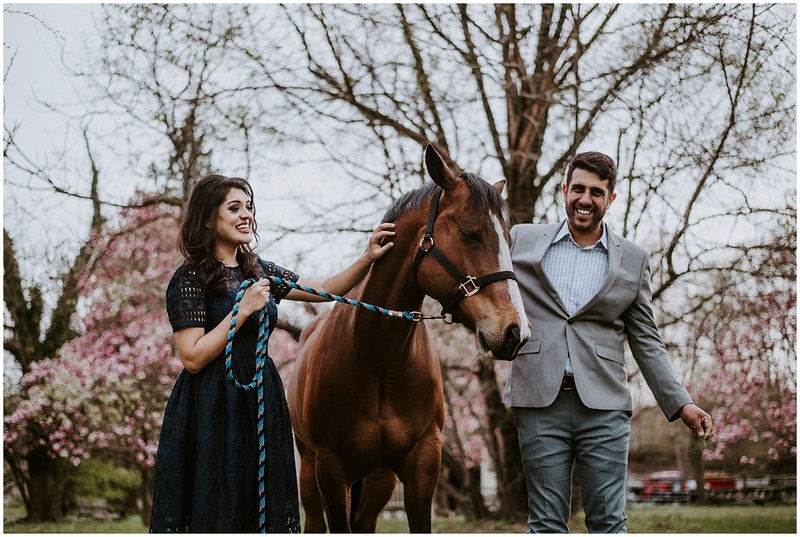 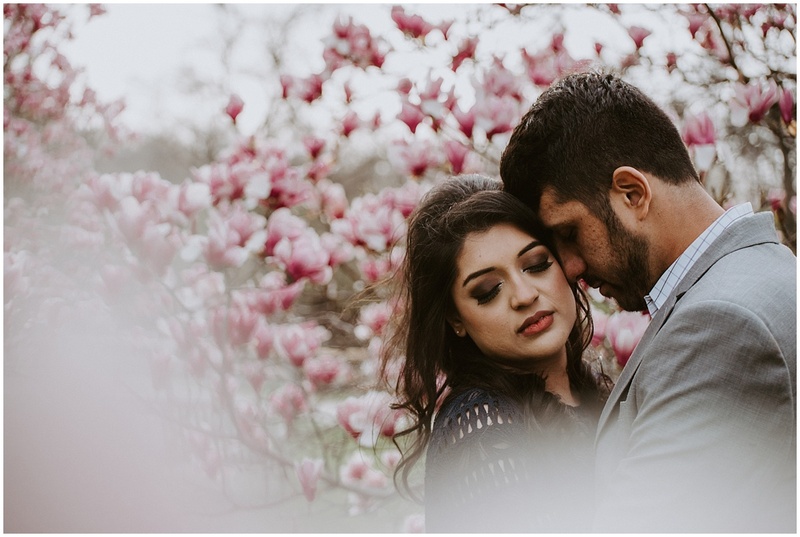 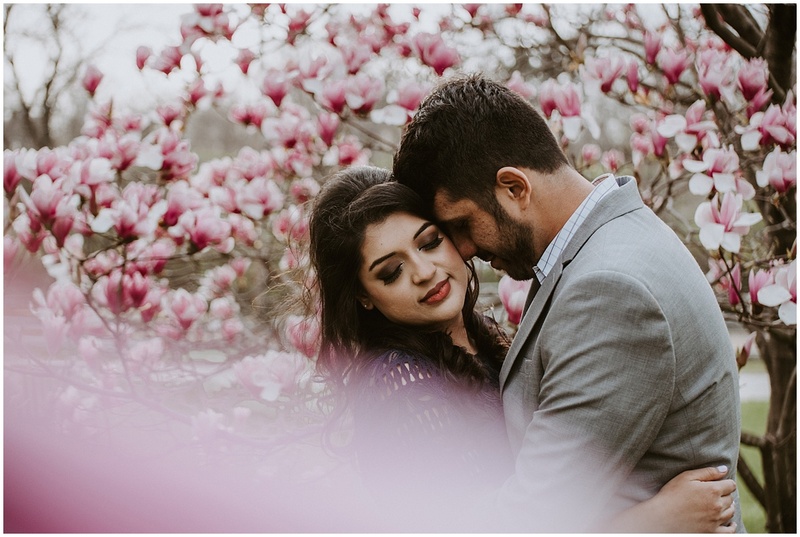 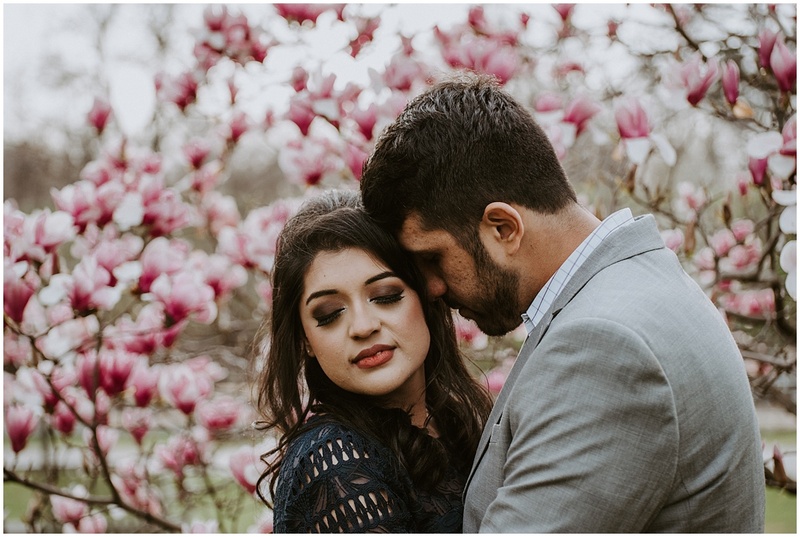 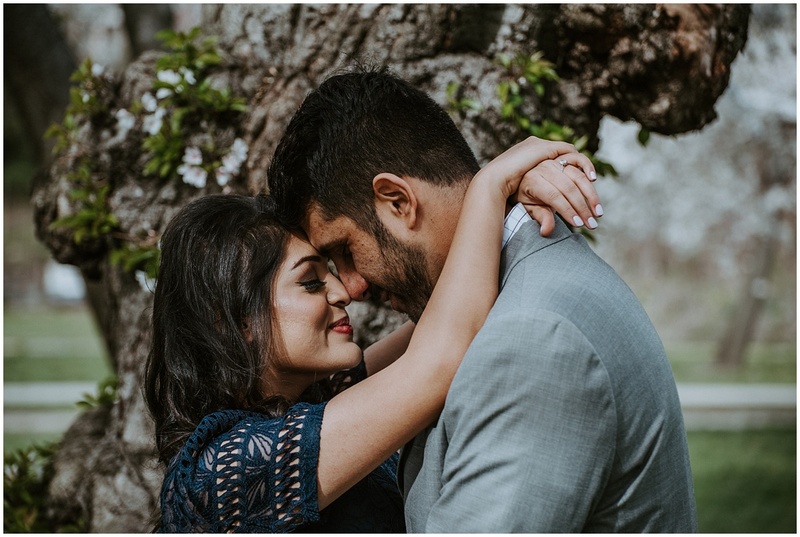 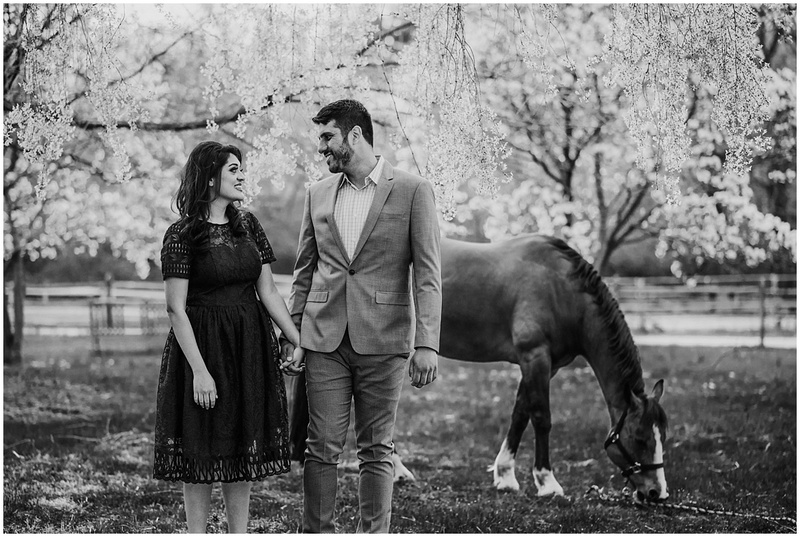 Ashley and I met up with Minha and Ahmed at Fairmount Park this Spring to celebrate their engagement. 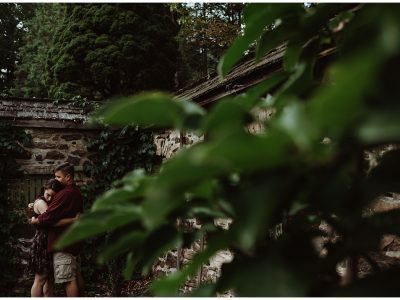 We were greeted by perfect weather, blooming florals, and… Pride. 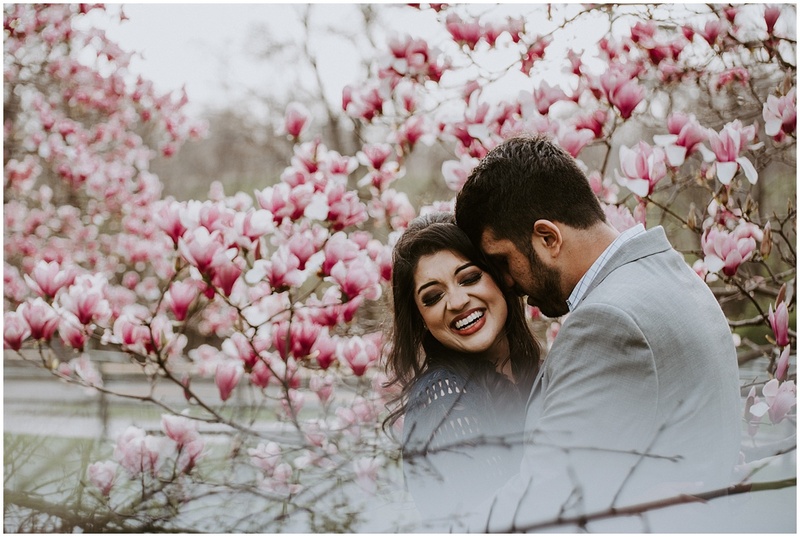 Minha and Ahmed met us at Vault and Vine, before their session, for some flower oogling and coffee. 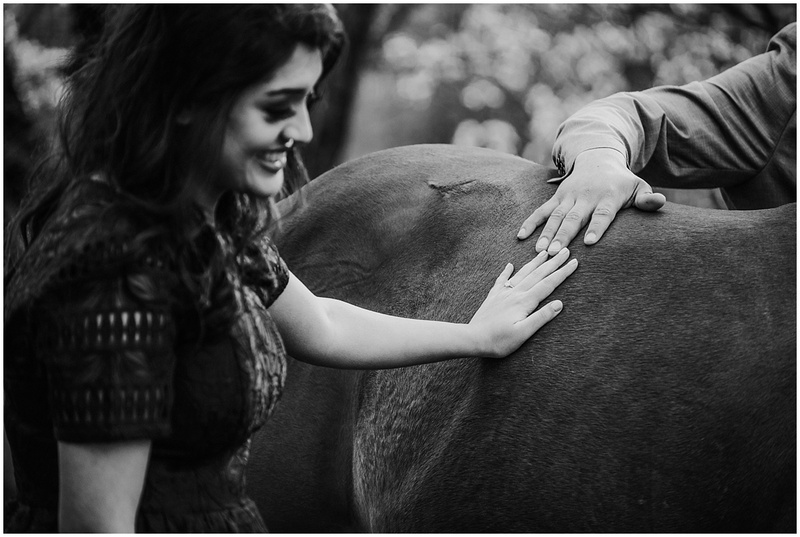 I have to say, it’s a true joy to be greeted by a bride who is ridiculously excited to work with you. 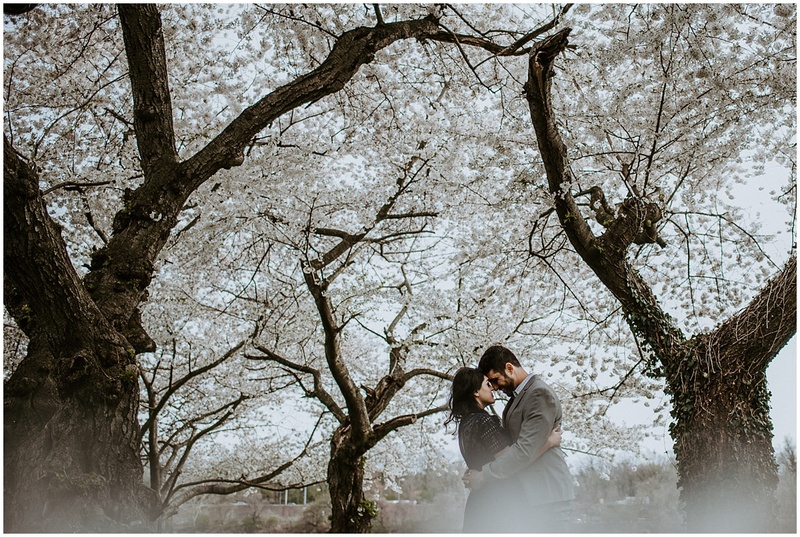 It set an amazing mood for what was to be a magical afternoon. 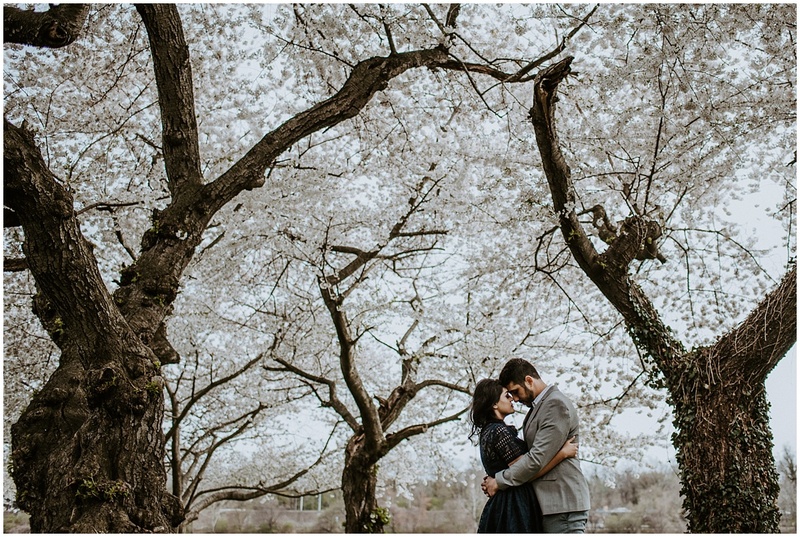 And then we headed towards MLK Dr in search of Magnolia trees. 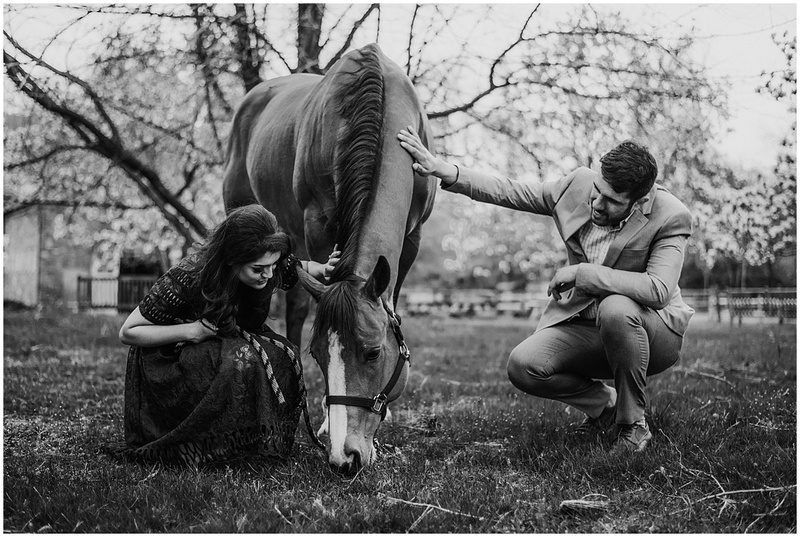 Stumbling on Belmont Stables was a dream. 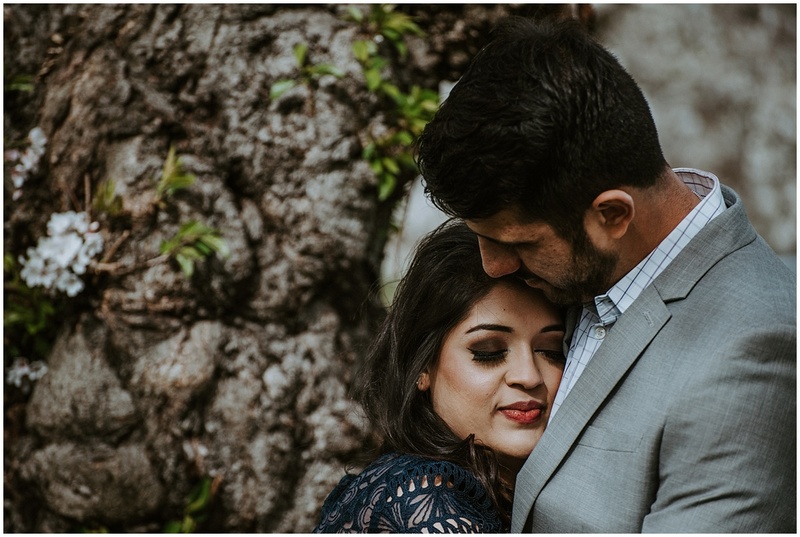 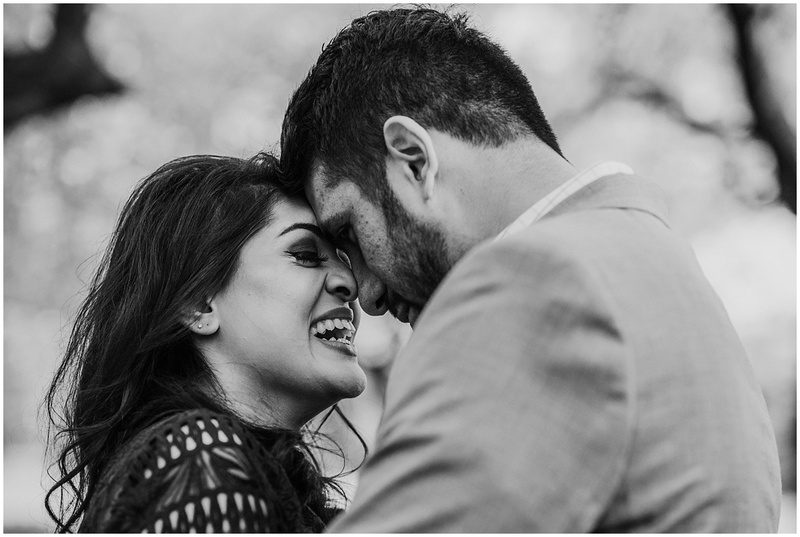 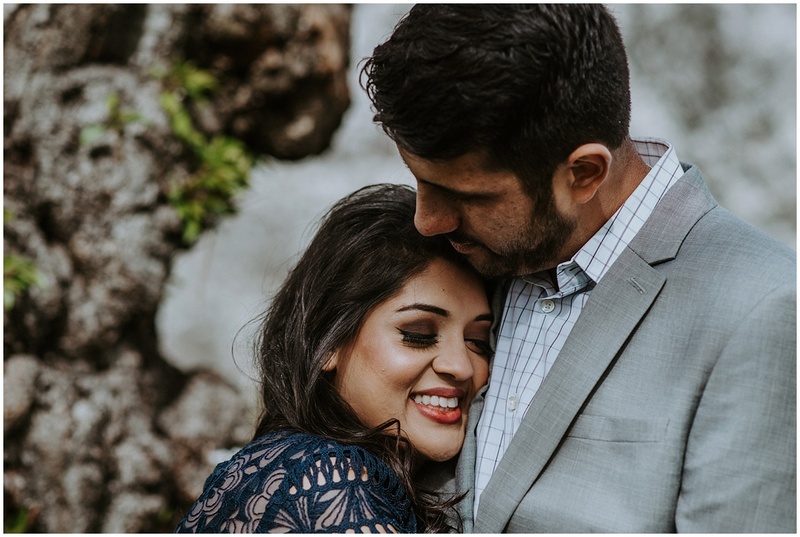 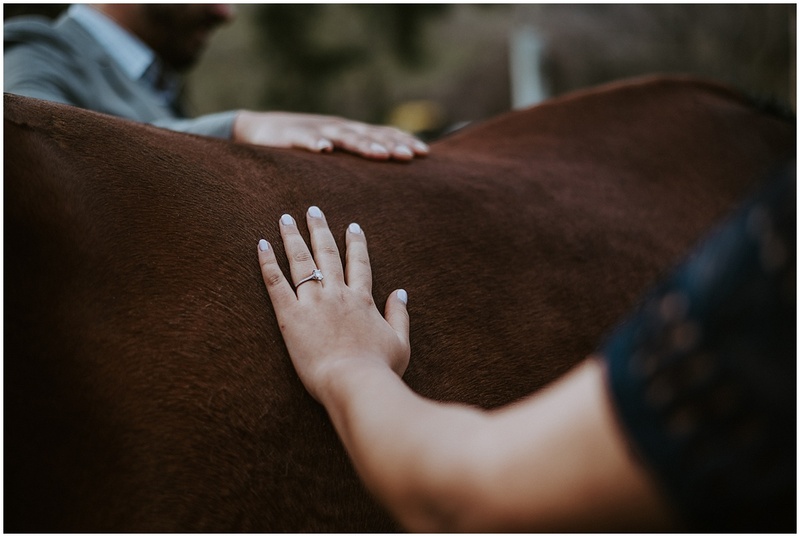 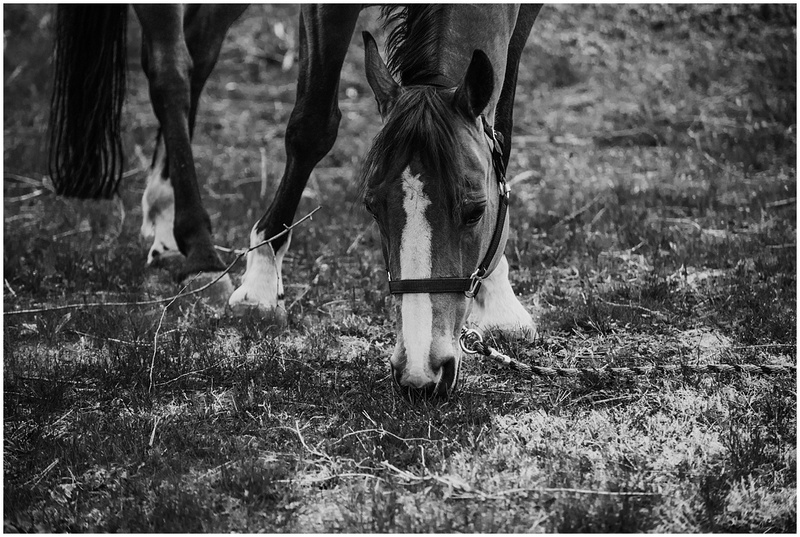 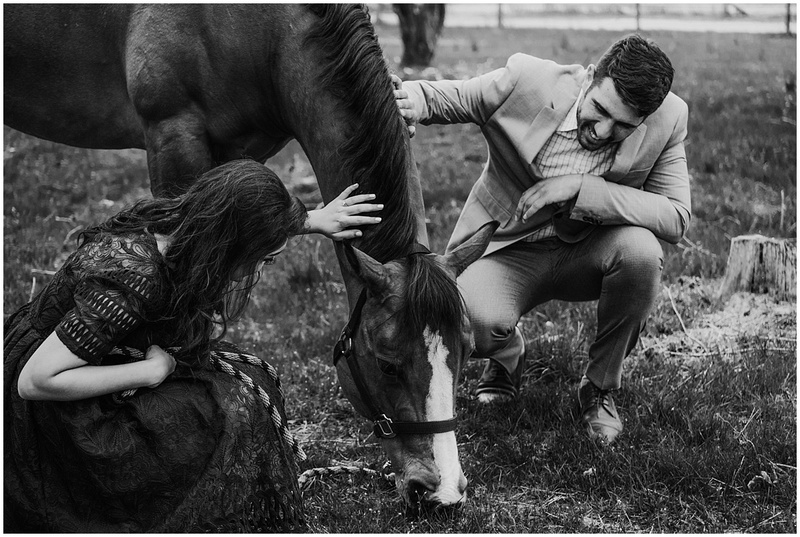 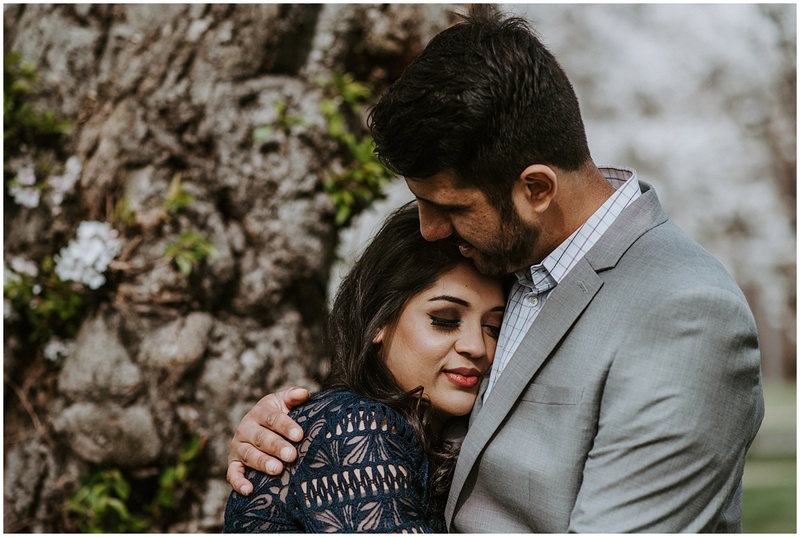 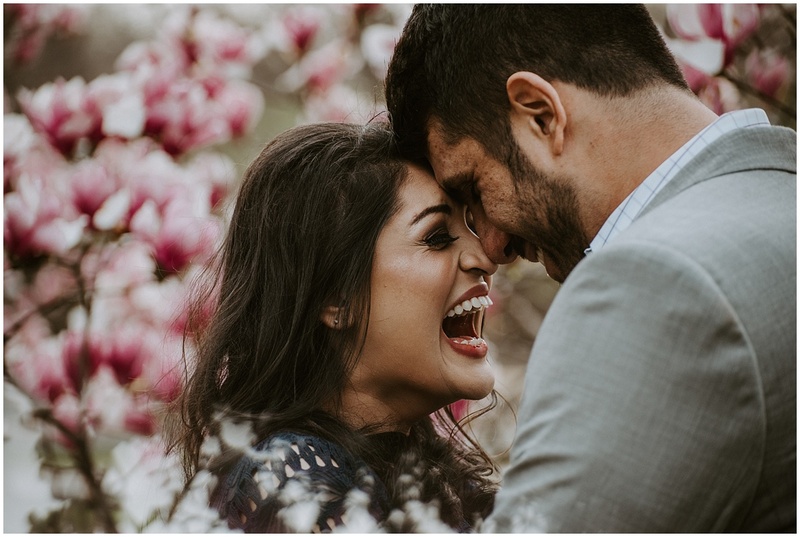 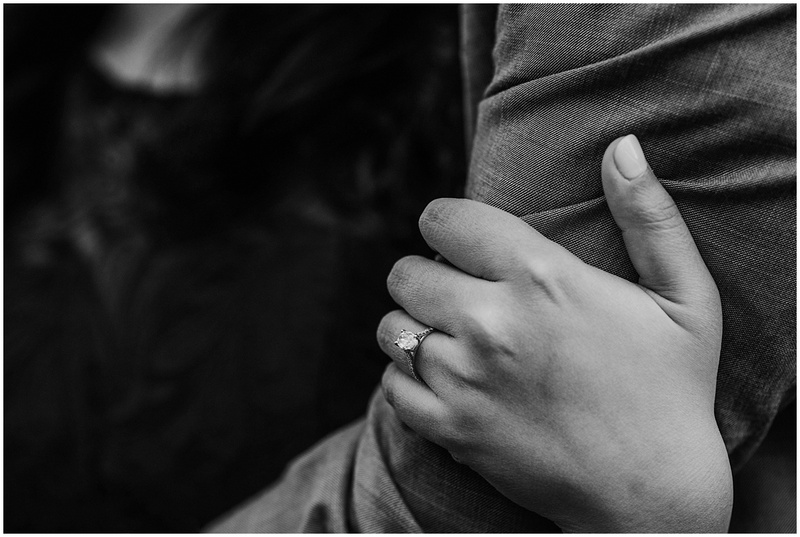 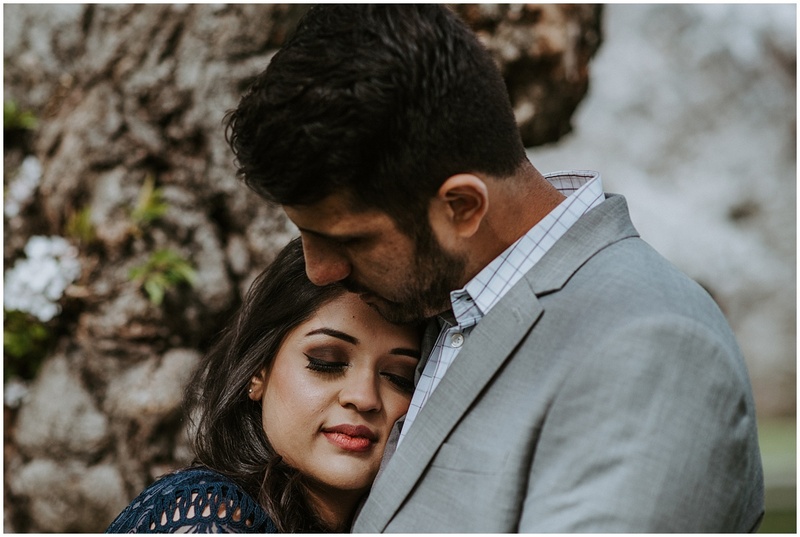 A few shutter clicks into capturing Minha and Ahmed’s love, a lovely woman named Lisa came out of the stables. 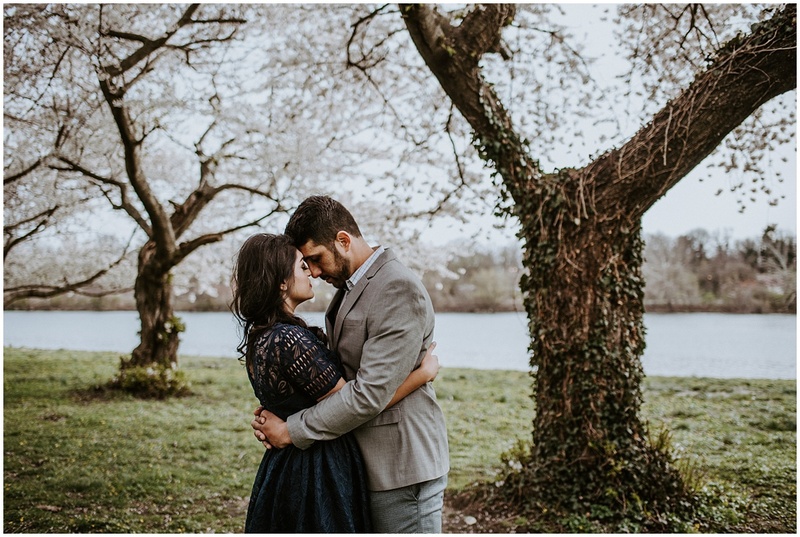 We immediately thought we were being asked to leave. 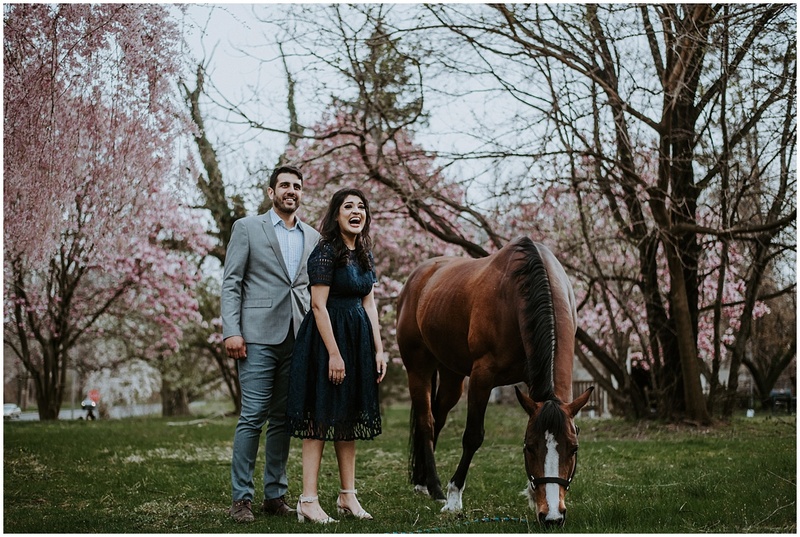 To our complete shock Lisa, instead, asked us all if we’d like to meet one of the horses. 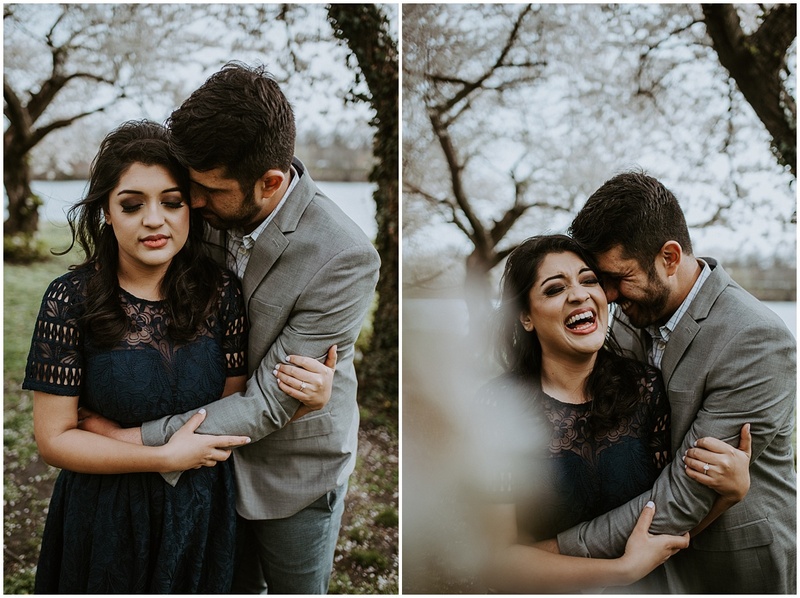 I wish there was someone around to capture all four of our faces. 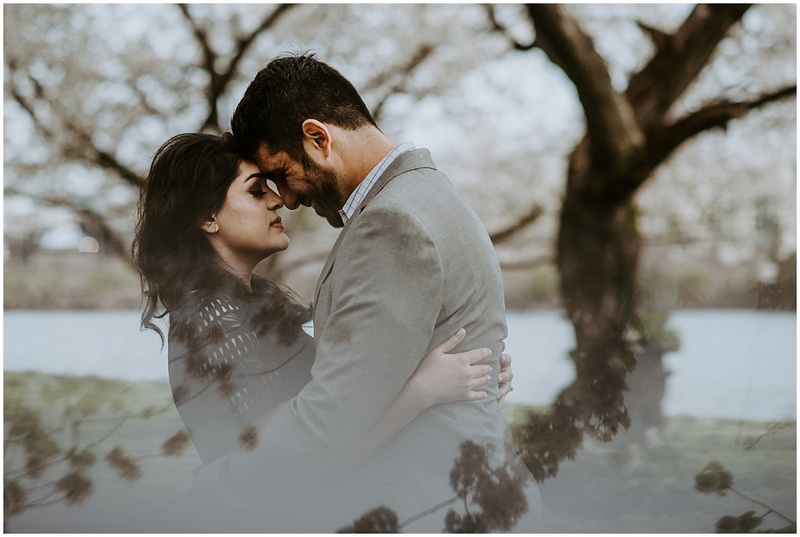 When we all enthusiastically (basically) squealed, she left to retrieve Pride; a stunning beauty who left us all a little awestruck. 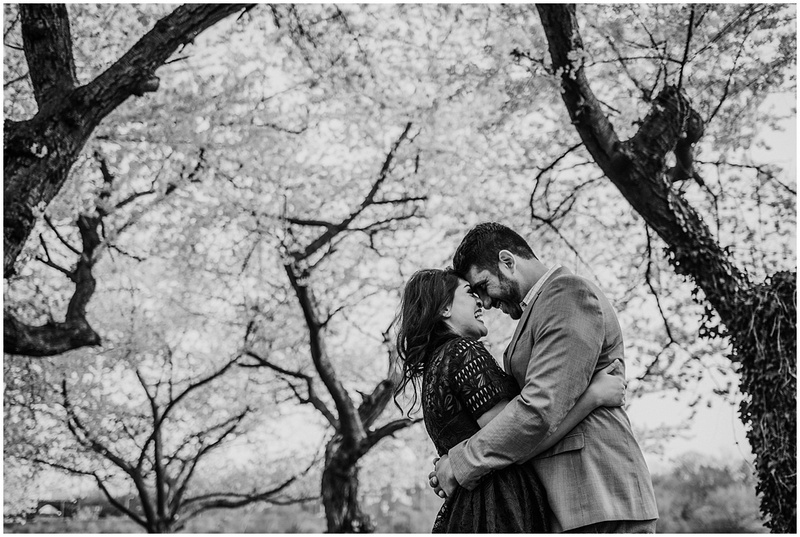 It is a moment none of us will forget. 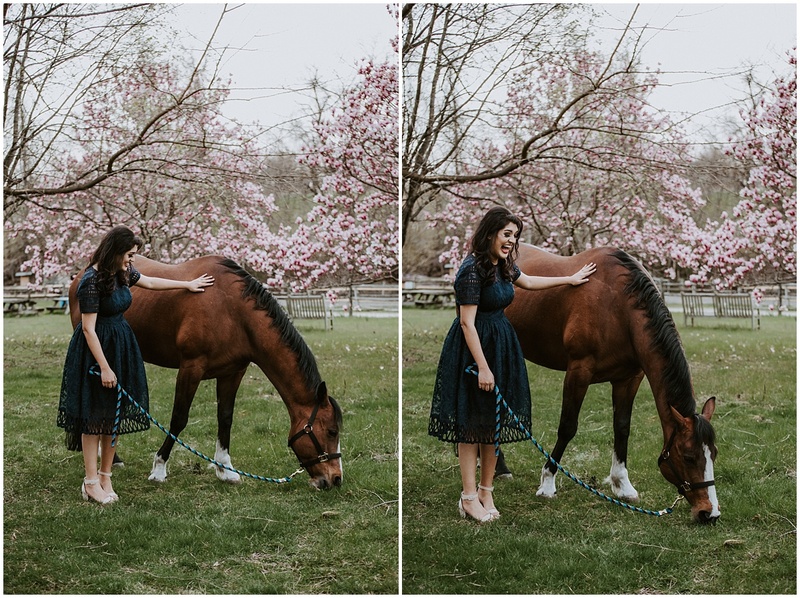 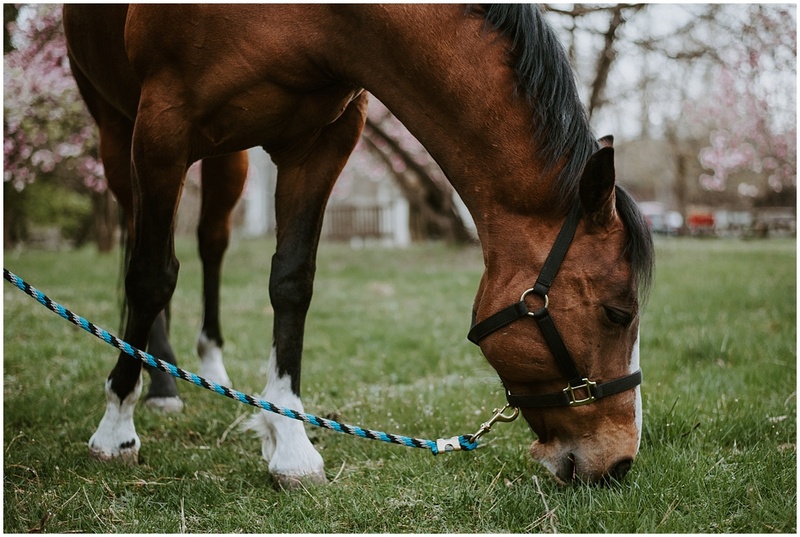 It’s not every day you think you’re getting in trouble and wind up fawning over a kind, gentle, and gorgeous horse (alongside your kind and gorgeous couple).